Over the years festivals have increased in popularity, when Glastonbury first opened in 1970 just 1,500 people attended and in more recent years there are around 150,000 people attending Glastonbury each year (KGB Answers). 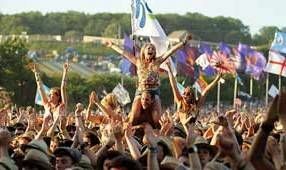 According to the Female First festival goers will spend more than £1,600 a year attending summer music events. On average festival goers will spend an average of £450.18 on tickets and an estimated £203.97 whilst at the music festival on food and drink. According to the Telegraph one in seven festival goers have been a victim of theft, summer 2010 saw an estimated £190,000 worth of possessions stolen from UK festival goers with a reported 945 reported incidents at seven of the UK’s biggest festivals. The average unattended tent will contain valuables such as mobile phones, digital cameras, MP3 players, designer clothing and shoes which total an average of £928. Try to take only the essentials with you! The fewer valuables you bring the less likely you are to be a victim of theft. If you do decide to bring any expensive items register them for free, then if it is stolen and recovered it can be returned. Visit www.immobilise.com to register your property. If you have used a sat nav remove any suction marks on the windscreen. Don’t bring large amounts of money/expensive jewellery, watches, neck chains etc. or any costume jewellery that appears to be of value. If you do bring valuables don’t leave them in your tent or car – put them in the on-site lockers. These can usually be booked in advance and are open 24 hours a day. Mark any valuables with your details. You can do this with a UV pen. Insurance provider Aviva advise extending your home and contents insurance to include personal belongings cover otherwise you may end up facing a bill of replacing lost or stolen items. For more comprehensive security tips visit our dedicated security tips page.